from 100 layer cake via oh happy day! 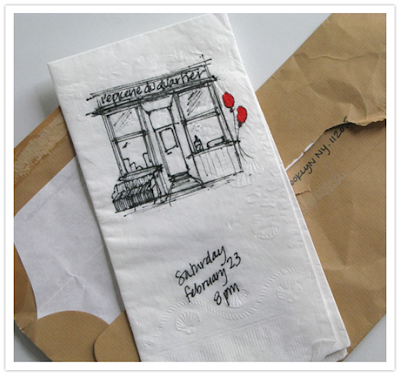 I am always writing on napkins and when I saw these I couldn't help but think of how clever these invitations are. Would definitely take some patience, but I personally think it'd be worth it. Hope you enjoy!